Not Quite Mary Poppins – Page 2 – A lifestyle blog for modern nannies and celebrators of childhood. My name is Christina, also known as Dina to my charges, Axton to my friends, and @nannyoutnumbered on Instagram. I’m 31, I love travelling, cocktails and a project! I am a Norland Nanny, qualified Maternity Nurse with specialist training in Postnatal Depression and Special Needs. I’ve worked as a nanny for 12 years in a variety of positions, including both residential and daily. I’ve also worked overseas and in Early Years Education. I am a Registered Children’s Nurse and work full-time in Neonatal Intensive Care whilst working part-time as a nanny for multiples. I have a passion for multiples and have cared for twins, triplets, quads and even quints. This interest began when I became a volunteer for TAMBA (Twins and Multiple Births Association), who through the Helping Hands Supporting Families in Crisis service provide short term practical support to families who are in desperate need. I was lucky enough to be awarded the inaugural ‘Helping Hands Volunteer of the Year’ award in 2016. I was born prematurely at 30 weeks gestation, weighing just 900 grams (roughly 2 lbs) and for most of my childhood I was the smallest person everywhere I went due to my prematurity and being growth-restricted. This was until one day my childminder had a new charge, a baby called Timmy. He was only small and I guess you could say he was my first ever charge! Apparently, my parents tell me all I wanted to do was care for Timmy and look after him. I was only 3 at the time but it became a life-long passion, caring for those who need it most. Practical, resourceful, fun-loving, tenacious, supportive. I feel that once you have more than two children in the house it’s a case of, “the more the merrier!” I believe in being realistic, not striving for perfection. Children learn best when they are given opportunities to explore and make mistakes in a safe environment. Start with love and you will never go far wrong. I am a big believer in encouraging children to be independent, empowering them and empowering parents. I feel parents are raising children at a very hard time – it’s a total minefield to know what to do for the best for your children. With much often conflicting advice on child-care, there’s a real lack of parents following their instincts. I like to ensure that I provide a solid foundation for parents to utilise, to navigate 21st century parenting. I love to provide all children with equal opportunities to enable them to reach their full potential, so if there are any obstacles in the way of this, I will always try to remove them. I can be relentlessly positive when it comes to facilitating change! The flexibility! Unlike working in a nursery, if my charges wake up in the morning and want to learn about the sea, we can take a trip to the beach or the aquarium. I also love having the ability to get to know one family really well and building a rapport with them which enables me to support both the children and the parents and to grow with them as a family. You will also find me making something out of nothing and being resourceful. Talking about money! I find it often becomes the elephant in the room. Know your own worth, and make sure you communicate effectively at all times, not just on email or text but by having regular sit downs with your employers to discuss plans and how things are going. Make sure you have time for yourself! You cannot pour from an empty cup! My days vary massively. However, my nanny jobs usually run 7am -7pm, depending on the role. Although every day is different, there are consistent themes when you have multiples around. I find the key to success is preparation, preparation, and more preparation! For this reason, I tend to start my day before the children wake to make sure I’m ahead of the game, so to speak. I always try to get out of the house with the children in the morning and the afternoon, with at least one meal a week out and about. This might be a picnic or lunch at a restaurant. I try to make sure we do a variety of trips, including museums, playdates, and creative classes. I am a big believer in routine with multiples so regular sleep times are important. They also give me the opportunity to do more preparation, including laundry, activity planning, and cooking fresh and nutritious food. 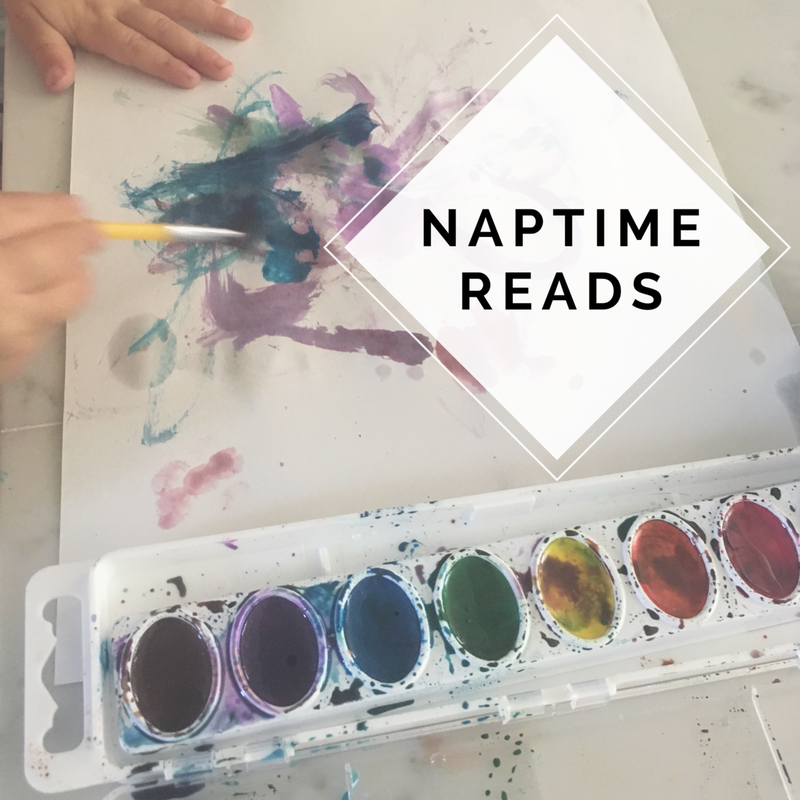 In the afternoon, we often do an activity at home, such as craft or imaginative play, followed by the teatime, bathtime, bedtime routine which can be rather hectic but I love to find some time for nappies off and baby massage. Anything that can be wiped clean with a babywipe! I find that winding down from work can be tough, especially if it’s been a busy day. I love to work my way through a good boxset to help switch off, and a couple of cocktails with friends is also the perfect tonic on a Friday evening. Why Love Matters: How Affection Shapes a Baby’s Brain by Sue Gerhardt, Raising Your Spirited Child by Mary Sheedy Kurcinka, Having a Premature Baby by Tommy’s, The Nursery School by Margaret McMillan. Peanut: A Storybook for Mighty Preemie Babies by Lindsay Nolan, You Must Bring a Hat by Simon Philip, Everywhere Babies by Susan Meyers, Freight Train by Donald Crews. Hi Caregivers of all kinds! Happy Friday. This week we found quite a few articles on self care and emotions. We hope you enjoy them as much as we do. We love Britney. She is such an amazing caregiver. We also loved reading her thoughts on Nanny Guilt. Yes, this article was written for moms. But sometimes Nannies have really similar emotional days. I love how the author takes a moment to say that it’s OK that we have emotions. It is! What is it to be a Nanny? Christine does an amazing job of describing the indescribable. The crazy days, the highest highs, the firsts, and the goodbyes. We love the way she puts it. Mackenzie is a huge fan of simplicity. She loves simple toys, simple living, and her tiny home. So she was ecstatic to be able to share an article on how simplicity can bring out the extraordinary aspects of childhood. It may also guard against Mackenzie then also ran off to go find a copy of Simplicity Parenting by Kim John Payne! YES to this beautiful study on how storytelling is just as complex and involved as music and mathematics. It can help children learn creativity, complexity, and empathy. Teaching storytelling instead of or with grammar is just as compelling! I love this compelling argument to put storytelling into more curriculum material. So, we hope you enjoy the articles this week! Hi! I’m Krista. I am 22 years old and live in Northeast Ohio. I have been a nanny for four years. I currently work for an amazing family with triplet 3 year olds and a seven year old. In my free time I enjoy playing soccer, working out, or binge watching Netflix. My family actually steered me towards nannying. I have always been amazing with children, so when it was time to choose a future career they mentioned a nanny training school. Truthfully, I turned down the idea at first after seeing the uniforms and thinking there’s no way I can be that proper all the time. I ended up reconsidering it after a lot of research and I I am so happy I did! Silly, energetic, loving, adventurous, helpful. Routine! The first thing I do when I start with a family is figure out a good routine and then we stick with it. I think all children need a routine they can count on to know what to expect, but with multiples I think it is so much more important to keep them on a strict schedule. Seeing children smile. I love seeing their cute little faces light up with self pride when they finally learn how to spell their name or do a cartwheel for the first time. Leaving! It is so difficult to leave the children after spending so much time together and sharing so many memories with each other. I am already dreading the day when I have to leave my sweet charges. Be your own advocate. Ask to have a meeting as soon as a problem arises – don’t wait for it to become a bigger issue. Communication is the key to a successful nanny/family relationship. Running shorts, a t-shirt, and tennis shoes. I will either put on my headphones and go for a run at the park or just go home and relax in front of the tv. I like The Five Love Languages of Children: The Secret to Loving Children Effectively by Gary D. Chapman & Ross Campbell and Unplugged Play: No Batteries. No Plugs. Pure Fun by Bobbi Conner. Help! The Wolf is Coming! 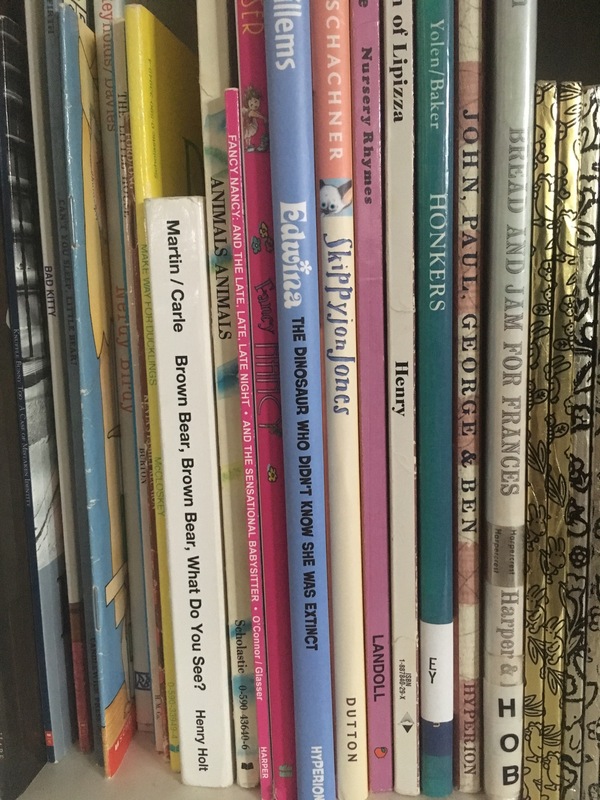 by Cadric Ramadier, Baby Bear Sees Blue by Ashley Wolff, and Go, Little Green Truck! by Roni Schotter. Happy August! Summer is winding down, so enjoy the poolside picnics and playground days as long as you can! We’ll just be soaking up enough Vitamin D to last the winter (yes, we know that isn’t how it works, but we can wish it was!). We hope you enjoy the sunshine and these articles as much as we do! We love this article on the importance of empathy. When child learns to see through other people’s eyes they are less likely to hurt other feelings. Let’s teach our kids to care about each other. Speaking of how we raise kids, we’re loving Jenn Hallak’s writings about raising them wild. Mackenzie actually cried a little while reading it. As a Nanny, we are constantly wondering what the day of other nannies looks like. It’s one of the reasons we love Spotlight Sunday’s so much! We were really excited to see Nanny Counsel write A Day in the Life of A Professional Nanny. Following Allie around was a blast! Brooke from Nanny Counsel wrote a great article on nanny rights this week. In our ever evolving profession it’s important to know what the laws and standards are. Typically we are our own HR department, so we love that Brooke offers sound council on how we can do that. Are you a personality test junkie? You’ll love Psychology Junkie’s article on the struggles on being an INFJ child. We’ll be hoping to find a series on each Meyer’s Briggs type for children! I’ve been looking after children in one way or another for almost 16 years. I started out with babysitting jobs for local families, then worked my way through univeristy at the local nursery and summer camps in the USA. After I finished uni I went on to train at Norland College. Over the past 9 years since leaving I’ve worked around the world, and loved every minute of it. I took a couple of years out of being a nanny to work for Disney Cruise Line as a performer in the Youth Activities department, which was literally a dream come true. I am a HUGE Disney fan and spend a lot of my free time doing something Disney related (if I’m not doing a ballet or tap class). For the past 3 ½ years I have been working for an amazing family in London, and hopefully will be with them for many years to come. [Note: Anita blogs some fantastic arts and crafts ideas over at My Baba. Check out her column here]. Part of me has always wanted to work with children, but it was during University that some people at my church suggested that I go to Norland and train to be a Nanny. I interviewed during my 2nd year and started after I got my degree. Always working to be better. Being with my charges, I can’t wait for them to come home from school. We are always getting up to something, be it arts and crafts/ playing/ going on mini adventures. The cooking! I’m actually a really good cook and my charges (thankfully) are great eaters. But still, I find it the most challenging, especially the cleaning up. Listen to what your employers want, but don’t be afraid to stand up for things you believe in. Also, don’t let them take advantage of you. You are there to look after their children and you can’t do that if you have cleaning a house and running errands all day long. Mine is slightly weird as I do 24hr care from Monday 1pm until Friday 1pm. Generally, I help get the children up at 7 and have breakfast waiting for 7:30, which the whole family have together. Then I wave the older 2 children off to school and get my youngest charge ready for the day. We spend the morning together, and over the next few months we will start to go out to play groups or museums. During his afternoon naps I start preparing dinner. By around 4pm my oldest 2 have gotten back from school and we start homework together. Then until dinner at 6 we play or do some sort of craft/activity. After that we are into the bedtime routine of bath, story and bed by 7:30. After they are in bed I will then go and clean up dinner and do the laundry. Jeans and a rugby jumper for colder weather or jeans and a t-shirt for summer. Reading, anything Disney related, cross stitching and more recently I have started to knit. Mybaba.com is a wonderful place to find recipes, crafts and activities and advice. Also, French Children Don’t Throw Food by Pamela Druckerman and How To Crack An Egg with One Hand by Francesca Beauman. Gosh I have sooooooo many. The Malory Towers Series & The Famous Five by Enid Blyton. The Worst Witch by Jill Murphy. The Owl Who Was Afraid of the Dark by Jill Thomplison. The Enormous Crocodile & George’s Marvellous Medicine by Roald Dahl. The Horrible Histories Series by Terry Deary. Goosebumps by R. L. Stein. The Grimms Complete Fairy Tales by the Grimms Brothers. Aesop’s Fables. Can’t You Sleep, Little Bear? by Martin Waddell. No Matter What by Debi Gliori. My Naughty Little Sister by Dorothy Edwards. A Little Princess by Frances Hodgson Burnett.